OKLAHOMA CITY – The Oklahoma Insurance Department (OID) is committed to helping those affected by one of the strongest earthquakes in state history. Gov. Mary Fallin declared a state of emergency in Pawnee County, the area rocked hardest by Saturday’s 5.6 magnitude quake. OID representatives toured the damaged areas and met with local officials Tuesday. This is why it is incredibly important to make sure that if there is an earthquake, you have taken every precaution possible. This might mean checking out something like this earthquake shutoff valves company or anything else really. If you can do something to keep your house safe from an earthquake then you might as well do it. 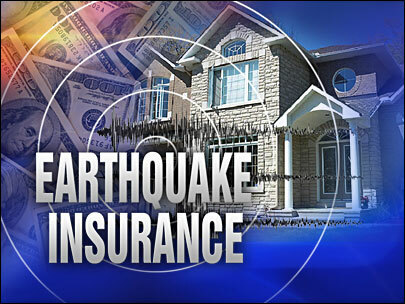 Representatives from the OID’s Consumer Assistance Division will be available to answer earthquake insurance questions Thursday at the Pawnee Public Library from 10:00 a.m. to 6:00 p.m.
A standard homeowners’ insurance policy does not cover earthquake damage. But many Oklahomans have earthquake coverage through an endorsement on their homeowners’ policy or through a stand-alone policy. This type of coverage protects your home from catastrophic damage. Many insurance companies won’t sell earthquake insurance immediately after an earthquake. The moratorium can be anywhere from 72 hours to 60 days after the quake. Business and property owners need to get back on their feet as soon as possible which is why people like Global Claim Advisors help efficiently manage clients’ claims by developing a claim strategy and getting them the settlement they need to recover. Consumers with questions about earthquake insurance are encouraged to call our Consumer Assistance team at 800-522-0071. Information is also available at www.oid.ok.gov.